Collections/Sbírky - money / bankovky - Army/Military - Military_Operace_End. 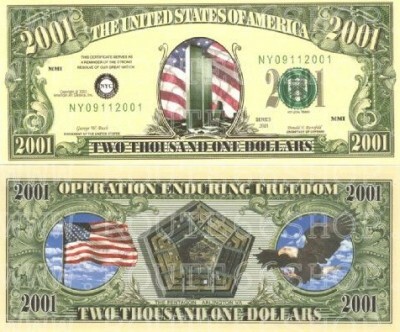 2001 $. Oboustranný barevný tisk. 2001 dollars funny paper money, bank note. Fullcolor doubleside print.